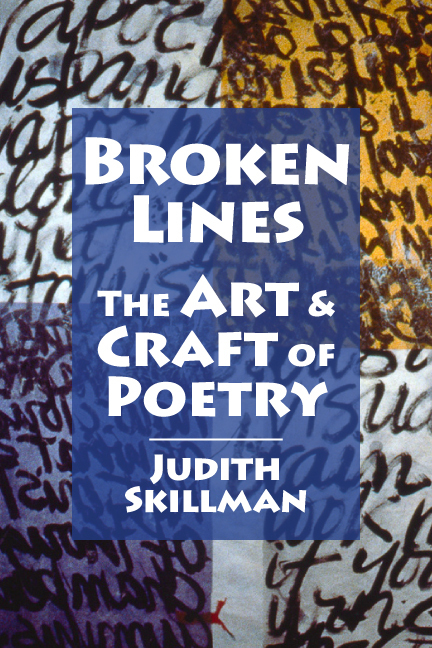 “In The Broken Lines, Judith Skillman distills the wisdom gained from her long successful career as a poet into a succinct [number of] pages that are remarkable for their liveliness and enthusiasm as well as for their accessibility. Aspiring poets should find the practical advice she offers not only helpful but inspiring. This text can be used by a poet on his or her own, or it can become a tool in the classroom. Broken Lines contains chapters on theory and practice. Whether one is a beginning writer, has been writing for years and never taken a class, or has published work in journal and/or book form, Broken Lines includes content to propel the writing life forward. 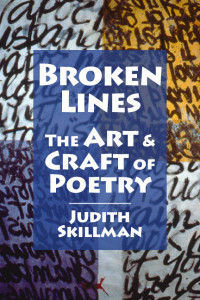 This entry was posted in 2013, Book, Merchandise and tagged education, how-to write, judith skillman, poetry, teaching, women writers on August 22, 2013 by bookdog.